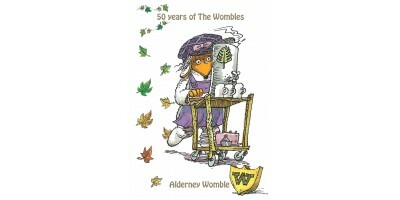 Our sets are supplied in a robust glassine bag. 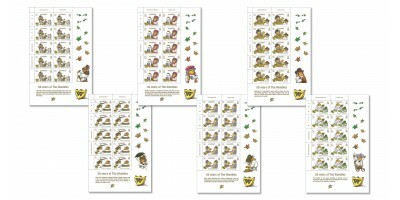 You may decide to place the stamps in a special album in order to preserve their mint condition (see Albums and Binders section). 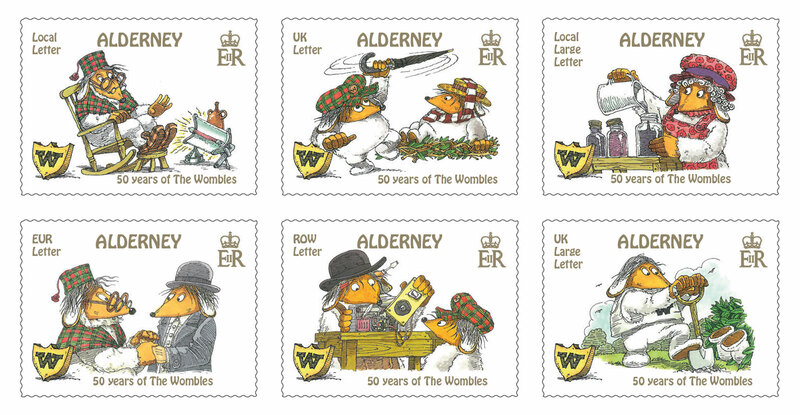 If you're a new stamp collector we would recommend you pause and make a few decisions which will help if you decide later to collect seriously. 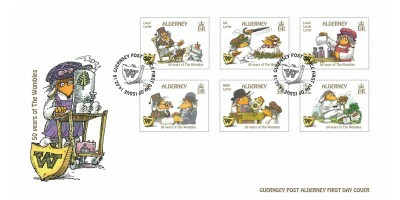 Mint stamps (otherwise known as unused) have never been cancelled or affixed to anything. 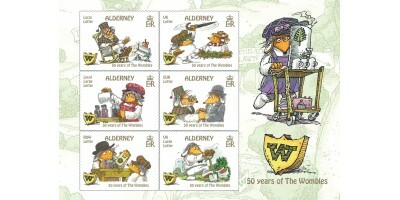 They will be in the same pristine condition as they were when they left the printer. 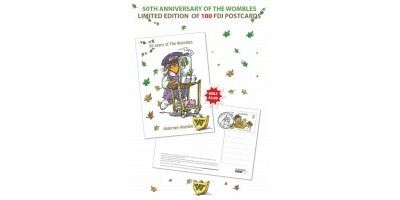 SOLD OUTLimited Edition FDi Postcard featuring the Womble character 'Alderney' with a special Alderney Womble cancel on the reverse of the card.Only 100 postcards with this special cancel are availabl.. 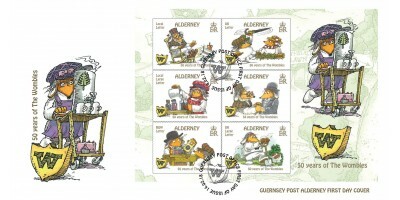 The First Day Cover carries the illustration of the character known as 'Alderney'.The Philatelic Bureau offers a first day cover service in respect of all stamp issues. 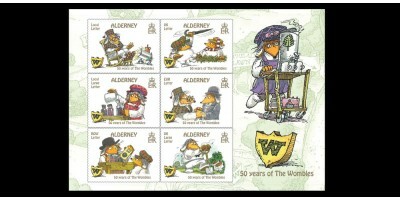 A set of stamps is affixed to a..
A small sheet containing one of each stamp from the issue, set against an illustrated background.This illustration features the Womble known as Alderney. 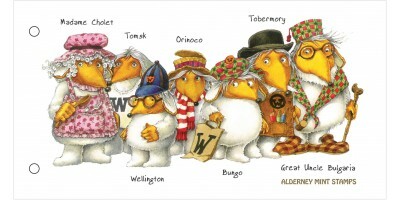 She was in charge of the burrow’s tea trolley,..